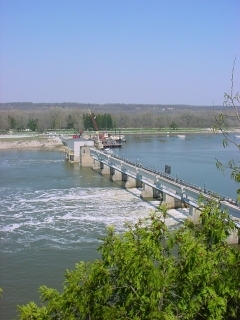 To tame the Illinois River, and for ships to allow to pass here, a dam and lock have been build on the Illinois right in front of the Starved Rock Park. As several of the hiking trails run alongside the river, the dam is a prominent fixture in almost every view. 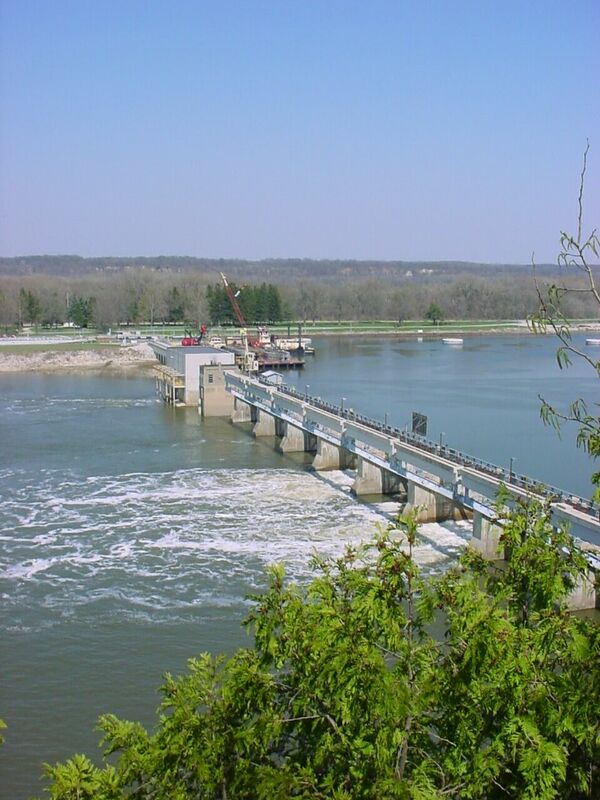 Especially when you're on the Starved Rock, Lover's Leap Cliff or Eagle Cliff you have a great view on the dam.